To be honest, I'm not a big fan of liquid eyeliner, I prefer eyeliner that comes in gel form. The biggest reason is because I have small eyes, so I have to line my eyes thick to make them look bigger, and I will run out eyeliner every month if I use liquid eyeliner. But eyeliner in liquid form is easier to use, I don't have to clean up the brushes regularly like I do if I use gel eyeliner. If you want a comparison of drugstore product, I've reviewed a Revlon liquid eyeliner before, you can check it HERE. There are so many people love Dolly Wink Eyeliner, it is high quality, easy to use, beautiful packaging and on and on. 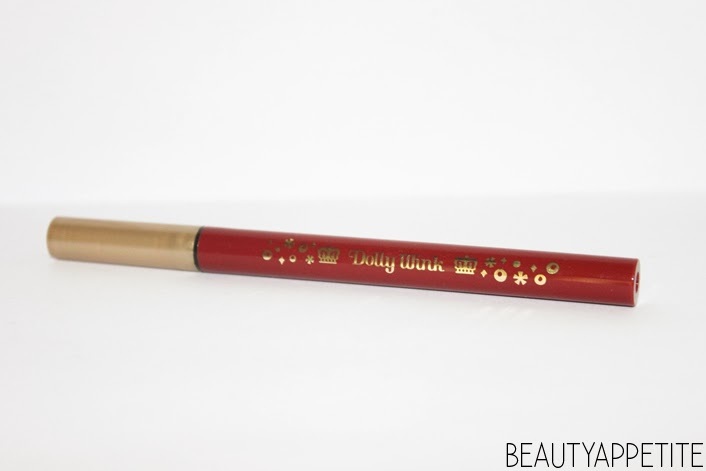 My Dolly Wink Liquid Eyeliner comes in red and gold packaging, not in the usual pink packaging, because I get this as a set with the Dolly Wink Long Mascara (which I love very much and will be reviewed later). 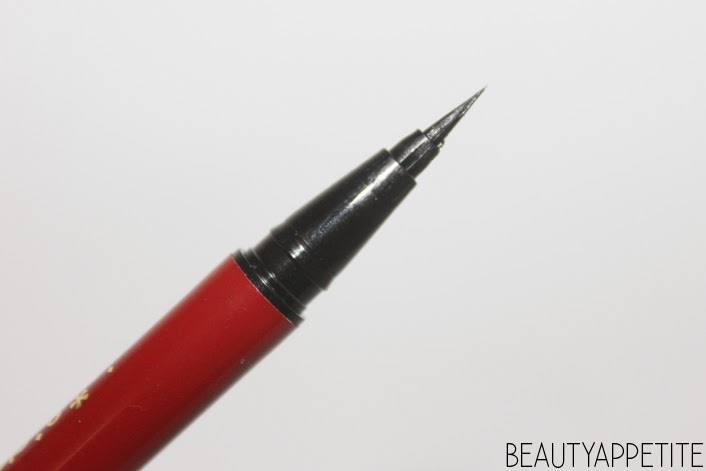 The eyeliner comes in pen liner form, so it is really easy to control, even for a beginner in liquid eyeliner! I got mine in black, but it also comes in brown as well. 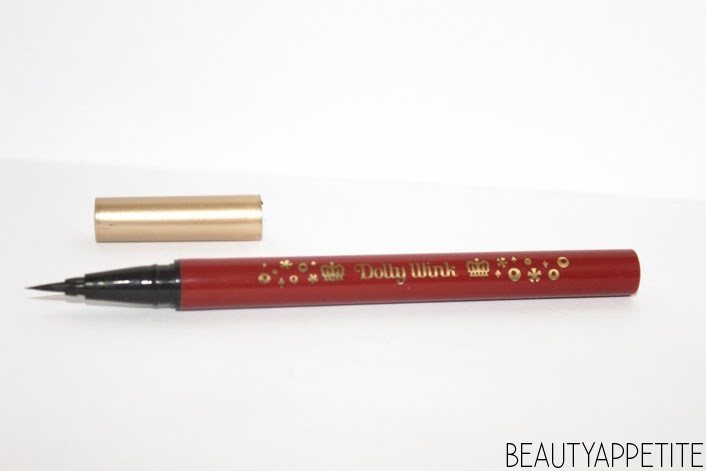 I love the ultra fine brush, it's perfect to draw thin or thick strokes precisely, which I think the most important thing from a liquid eyeliner, because I don't like it when the eyeliner tips are too sturdy, too flexible, too thin or too thick, this eyeliner, my friend, has the perfect tip. And I'm so annoyed if my liquid eyeliner brush fall out even just a single strand, because it will create messy lines, but I've never experience any from this eyeliner, cool! 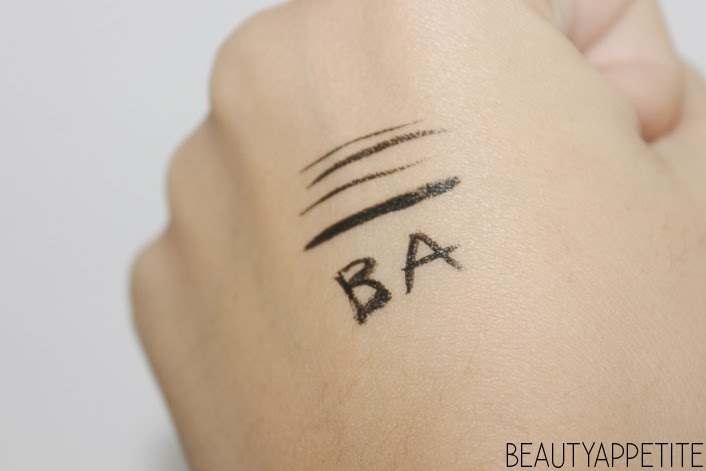 The eyeliner also comes in quick dry formula to prevent it from smudging and smearing, yay! Is there some other ways to retain this linear after applying it to our eyes?